Please sit down and look through this information before you commit yourself to a trip with us; you will be glad that you did! We maintain a 43-year excellent safety record. However, all outdoor experiences involve risk and we all must recognize that accidents, bad weather, or illness may occur. We cannot guarantee your safety. We place final responsibility for your safety on your shoulders; you have to pay attention to what you are doing! 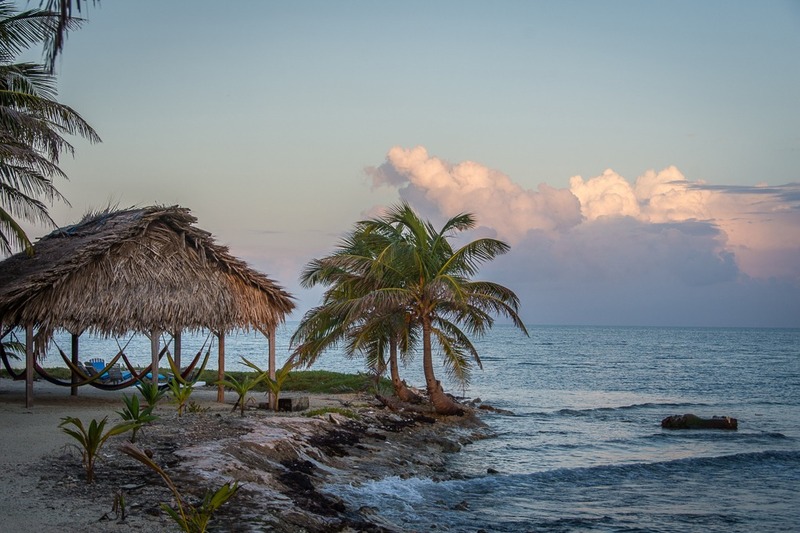 Belize is not Disneyland; Mother Nature controls the weather, river water levels, ocean turbulence, wind speed, and air temperature, so there is a risk involved in all activities on our trips. Before you may join a trip you must sign a Waiver of Liability which is sent after your deposit is received. If you have questions regarding this document or would like to see one ahead of time, please feel free to request or download it. We assume no responsibility for personal belongings, injuries to trip members, or for time and expense incurred. Before you commit yourself to airfare for a certain date, call us or check our availability page and make sure there is still room on that trip. During busy periods we can receive several reservations on the same day. If you don’t read our literature closely enough you may misunderstand the days you need to fly in and out of Belize. If you confirm your flights on the wrong day you will have to pay a fee to change your tickets, so make sure you get the dates right before purchasing them. Visit our Belize flights page for info on flying to Belize City. Even if the trip date you want is not full, if it is less than four weeks before a trip departure we have already released our previously reserved hotel reservations so that the hotel can sell these rooms to other travelers. Therefore, before we can confirm your last minute spot we first have to contact the hotels where you will be staying to make sure that they also have room for you. If you call and check that we have room for you, and then make your air reservations, call right back or fill out our on-line form and confirm your spot with a $450 per person deposit. We only hold spaces with a deposit, and the seat you are counting on could sell out from under you. We will hold seats with no penalty for 48 hours if you ask us to do so, so you can proceed with your air tickets and getting time off work, knowing your spots will not be sold. On extremely popular dates, or when only a few spots are left, the 48 hour period is reduced to 24. When you request a hold, together we agree on a specific time for the hold to expire, and this will be confirmed either by voice or by email. When the time of the hold expires, we reserve the right to sell those seats to the next person on the waiting list if we have not received your deposit. Payment of deposit implies acceptance of reservation and cancellation policies listed. Once a deposit is received, or a reservation is made on behalf of a guest by an agent, any cancellations or transfers are subject to fees listed. Once you have confirmed a reservation with a deposit it activates our cancellation policy, so wait to make a deposit until you are sure that you can make it. We recommend that you purchase a travel protection plan to help protect you and your travel investment against the unexpected. For your convenience, we offer travel protection through Travelex Insurance Services. For more information on the available plans or to enroll, visit their website or call Travelex Insurance Services at 800-228-9792 and reference location number 37-0142. Please note Travelex is only available to US residents. Residents of other countries will easily find an insurance provider in their own country. A $450 deposit confirms your space on each package you wish to join. Each separate itinerary with a unique departure date constitutes one package. If you are combining packages, you will owe more than one deposit. You may make your reservation by telephone, fax, mail, on-line form, or e-mail. Checks, money orders, VISA, MasterCard, Discover, and American Express are accepted for all payments. If you qualify for any discounts, the discount comes out of the final balance, not the deposit. All trips run by Slickrock have a minimum requirement of 4 adult guests; however, we will run a trip for 2-3 adults for a surcharge of $350/person. When signing up for a trip, all guests need to be aware they will be charged this additional fee if the trip does not reach at least four adults. We will bill the guest two weeks prior to departure for this additional fee to avoid unnecessary refunding of fees. A Registration and Waiver of Liability Form is sent. The completely-filled-out form and the final balance are both due 60 days prior to departure, except during the Christmas period (Dec. 15 – Jan. 5). For these packages the balance and form are due 90 days prior to departure. Reservations received for individuals who actually would not be able to attend the trip due to age limits, medical conditions, or other factors will be canceled off the trip when the mistake is discovered. Cancellation fees will still apply. If you are concerned about having to cancel your trip, please see our Cancellation page for more information. We have not canceled a confirmed guest in our entire history in Belize. We offer discounts for some groups, private charters, kids, and returning guests; request further details to find out if you qualify. Any conditions out of our control that delay your arrival or departure may add to your cost; all extra charges caused by delays (late luggage, extra flights, or catching up with a trip in progress) or any variations from the itinerary (early departure, evacuation) will be at the customer’s expense.